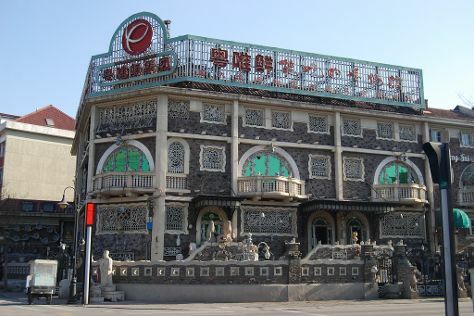 Kick off your visit on the 22nd (Sun): head outdoors with Five Great Avenues, then admire the landmark architecture of China Porcelain House Museum, then browse the different shops at Ancient Culture Street (Gu Wenhua Jie), and finally make a trip to Ferris wheel, Eye of Tianjin. To see maps, photos, other places to visit, and tourist information, read Tianjin day trip planning tool . Singapore, Singapore to Tianjin is an approximately 15.5-hour flight. You can also drive. Traveling from Singapore in April, expect Tianjin to be cooler, temps between 24°C and 10°C. Cap off your sightseeing on the 23rd (Mon) early enough to travel to Beijing. Step off the beaten path and head to Pinggu Jiangjunguan Great Wall and Back Lakes (Hou Hai). There's much more to do: steep yourself in history at The Great wall of Jiankou-The Great Wall Alternative, hike along Mutianyu Great Wall, admire the landmark architecture of Meridian Gate (Wu Men), and find something for the whole family at Olympic Park. For ratings, where to stay, photos, and other tourist information, you can read our Beijing trip itinerary builder app . You can do a combination of subway and train from Tianjin to Beijing in an hour. Other options are to drive; or take a train. Expect a daytime high around 24°C in April, and nighttime lows around 9°C. Wrap up your sightseeing by early afternoon on the 28th (Sat) to allow time for travel back home.